Rate and review Western Exterminator in Tempe, AZ, United States! 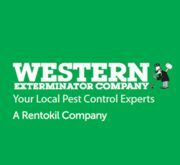 Share your experiences at Western Exterminator with your friends or discover more Pest Control in Tempe, AZ, United States. Green Home Pest Control Inc.